The City of Ekurhuleni had no obligation to fix a family shack which was split open after being hit by an aircraft which crashed in Wattville, Benoni, earlier this week, the office of Mayor Mondli Gungubele said. Spokesperson Zweli Dlamini said they had made no promises to fix Cebisile Zulu's shack after it was reportedly struck by the wing of the plane as it went down and burst into flames just metres from her house on Wednesday morning. "We have not committed to anything," Dlamini told News24 on Thursday afternoon. "We need to investigate the extent of the damage and see what we can do as a city but we have made no commitments. You must remember that this thing was not our doing," Dlamini said. On Wednesday, just hours after the aircraft had gone down, News24 visited Zulu at her shack. A piece of the shattered plane was still on her roof and one side of the shack was broken. The area surrounding the shack had been taped off by investigators. News24 spoke to Zulu as her toddler child crawled around on the sand under the tape. She said although she was sad her shack had been damaged in the crash, she was comforted by the fact that people of the City had promised to come back and help her fix it before nightfall. She stood at the fence of the shack during the afternoon, waiting for the promised help. But by Wednesday night, no one had come back. She was forced to seek shelter from a neighbour for her and her two children. When News24 contacted her on Thursday afternoon, she said she had spent the day at home, waiting for someone to come to their aid. "I haven't made any phone calls because the people who promised they would come back never left their names or their numbers," she said. "And the person who offered us accommodation [on Wednesday] said it was only for one night." She burst into tears when News24 informed her that Dlamini said fixing the shack was not their responsibility. "I have no idea what this means for me and my children. I don't know where I am going to sleep tonight," she said. The aircraft crashed with three passengers on board - a pilot and an Austrian couple - all in their 60s. 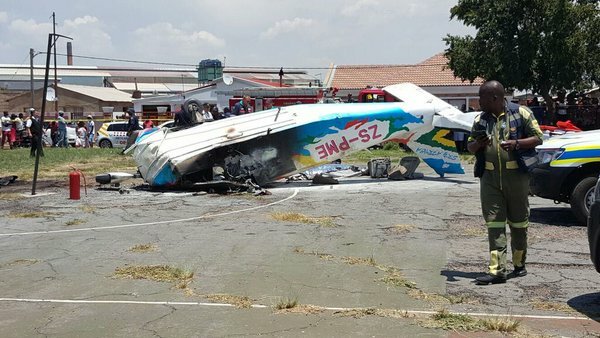 It was headed for Mokgopong in Limpopo when it crashed a few minutes after take-off. It landed on a field in the middle of Wattville township which was used as a netball court and soccer pitch for local children. Locals rushed to the scene, tried to douse the flames and pulled the passengers out of the wreckage. All three, however, died on the scene. A federal judge ruled this week that a Texas mechanic who worked on restoring a vintage airplane in Auburn can move forward with his effort to recover wages on a dual track — under state and federal law — against the company that owned the plane and the company that hired him to restore it. A year ago, U.S. Chief District Judge Nancy Torresen allowed Christopher Venegas, 46, of Wichita Falls to invite other mechanics who worked on the project with him to join his lawsuit under federal law. Venegas came to Maine three years ago to work as an air frame mechanic at a hangar at the Auburn-Lewiston Municipal Airport. At issue is whether Venegas and his co-workers should have been paid as independent contractors, as the defendants in his complaint contend, or as employees, who were entitled to overtime pay, as Venegas argues. In his complaint, filed in June 2014 in U.S. District Court in Portland, Venegas claimed he was paid straight time for all hours worked, including those in excess of 40 per week. According to the federal Fair Labor Standards Act, employees must be paid overtime wages at a rate of time-and-a-half for any hours exceeding 40 per week, the complaint said. Venegas, and most of the other dozens of workers on the project, were paid only straight time despite working 63½-hour weeks on average, as required by the companies that hired them, according to the complaint. Venegas was hired by Global Aircraft Service of Addison, Texas, which controlled, along with Lufthansa Technik North America Holding Corp. of Tulsa, the restoration of the "Star of Tigris," a version of the Lockheed Constellation known as a Starliner, Lufthansa Airline's flagship aircraft from the late 1950s and early 1960s. Global Aircraft and Lufthansa are co-defendants named in Venegas' lawsuit. In a Feb. 5, 2015, ruling, Torresen granted Venegas' motion to certify the suit as a collective action under federal law, meaning other similarly situated metal specialists who worked on the aircraft between June 24, 2011, and Feb. 5, could join his lawsuit under a so-called "opt-in" clause. In her 2015 ruling, Torresen also ordered Venegas' former employer to provide the names and contact information of the other workers to Venegas' attorneys in an effort to ensure that all of the workers who want to be included can participate. A notice of Venegas' claim, and that option for other workers, was required to be posted at the job site, Torresen had ruled. Now, a year after that decision, Torresen has ruled that Venegas' complaint can move forward under Maine law as a class action, meaning all of his co-workers will be notified that they have been included in his claim unless they exercise an "opt-out" clause. Both the state and federal claims are aimed at recovering back wages owed for overtime, said Nicholas Woodfield, Venegas' attorney with The Employment Law Group in Washington, D.C. The state law has a longer statute of limitations, he said, potentially enabling more workers to become part of the lawsuit. Torresen also ruled this week against the defendants' motion to rescind the federal certification of a collective action that allowed Venegas' fellow workers to sign on to his lawsuit. A spokesman for Lufthansa could not be reached for comment. Woodfield said he believes between 50 and 130 others participated in the project as sheet metal workers who could potentially become plaintiffs in Venegas' complaint. Venegas, who was married with four children, moved to Maine in February 2013 where he was housed in a local apartment by the company. He was ordered to wear a company-supplied T-shirt and use company email addresses for work-related correspondence, according to court papers. The company did not withhold Social Security or taxes from his paychecks. Three air carriers are vying to provide service to Visalia in the wave of SeaPort Airlines’ unexpected departure. Boutique Air, Great Lakes Airlines and Mokulele Airlines have submitted a bid to the Department of Transportation to provide service from Visalia; all three previously bid in 2014, when SeaPort was awarded service. 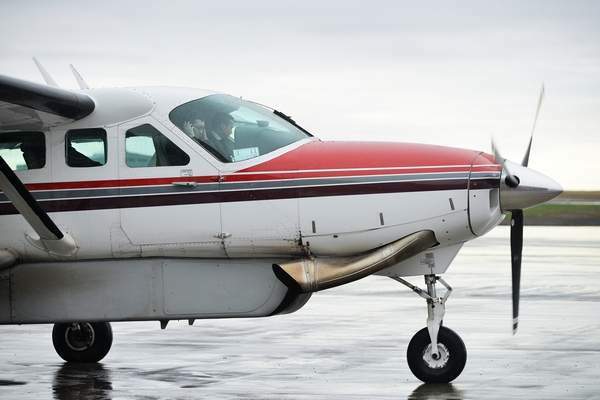 Kailua-Kona, Hawaii-based Mokulele Airlines’ bid to provide 48 weekly flights from Visalia to Los Angeles International (LAX) using a nine-passenger Cessna Caravan, the same type of aircraft that SeaPort flew. Mokulele is a new entrant to California; it currently provides service in Hawaii, Pennsylvania and New York. The carrier stated in its bid that it would have “comfortably configured vans” to drive passengers to a nearby airport in the event of an unrecoverable delay or cancellation, and that it is working on an agreement with the Fresno-Yosemite International Airport to reroute passengers there in the event of heavy fog or inclement weather at Visalia as a way to avoid cancelling flights. The airline said it currently has interline agreements–which allow passengers to fly multiple carriers without re-checking their bags–with Alaska Airlines, Air New Zealand and Island Air. Mokulele’s subsidy pricing is tied into whether Imperial/El Centro, another ex-SeaPort community, also chooses the carrier, and the length of contract it is awarded. If both communities choose Mokulele and it is provided a four-year contract, its requested subsidy for Visalia service would be $2.1m for its first year of service and $2m for subsequent years. Cheyenne, Wyoming-based Great Lakes Airlines, Visalia’s air carrier prior to SeaPort, also bid for service from Visalia to LAX with two round-trips per day in a 19-passenger pressurized Beechcraft 1900, the same type of aircraft it used to previously service Visalia. In its bid, the airline touts interline agreements with American Airlines, Delta Airlines and United Airlines, including the ability to earn SkyMiles on Delta. It is requesting a subsidy of $2.6m per year on a two-year contract. San Francisco-based Boutique Air, which currently provides service to Merced, submitted two separate bids: one for service from Visalia to LAX and Oakland, and another for service from Visalia to LAX and Sacramento, both with two round trips per day. The airline would provide service in a 9-passenger pressurized Pilatus PC-12, which it says is equipped with power outlets and an enclosed lavatory. If chosen to provide service to Visalia and Oakland, the airline would require a $3.5m subsidy per year. If it provides service to Sacramento, it would instead request $3.6m per year. The committee plans to meet next week and prepare its recommendation for the Visalia City Council. The topic is planned for the next regular council meeting agenda on Tuesday, February 16 in order to meet DOT community comment deadline of February 25. “It’s all moving very fast,” Gubler said. In the meantime, SeaPort Airlines filed for Chapter 11, it announced Friday, February 5. Former company president, Rob McKinney, has resigned, and former vice president, Tim Seiber, is now president, according to a press release. “That certainly explains why they pulled out of California,” Gubler said. 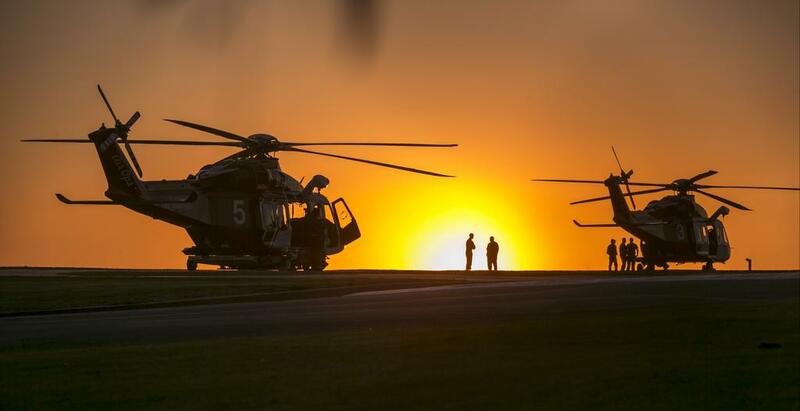 “I don’t think it in anyway diminishes the service they provided for us. The other option, for Visalia, is to consider a Federal Aviation Administration temporary buyout, in which the city would receive a sizeable amount of money to upgrade the airport, making it attractive to corporate jets and/or another freight carrier. For the next 10 years, the airport would not be open for passenger service. The bid documents are available to view, embedded, below. Public comments may be submitted at Regulations.gov, docket ID DOT-OST-2004-19916, or by clicking here. SeaPort Airlines announced Friday it filed for Chapter 11 bankruptcy, although the company says day-to-day operations will not be interrupted. 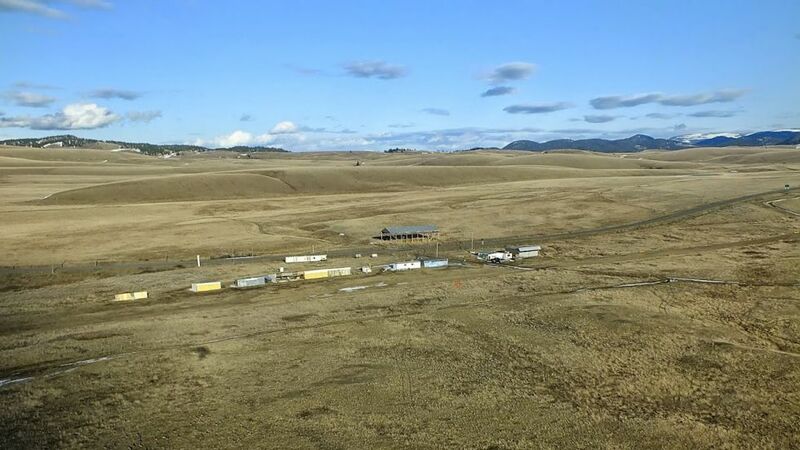 According to a press release, SeaPort will continue to operate its current flight schedule, including the route between Pendleton’s Eastern Oregon Regional Airport and Portland. The airline also promised to continue paying its employees as the company attempts to reorganize in the midst of a national pilot shortage and a severely reduced flight schedule. In addition, CEO Rob Kinney has resigned. 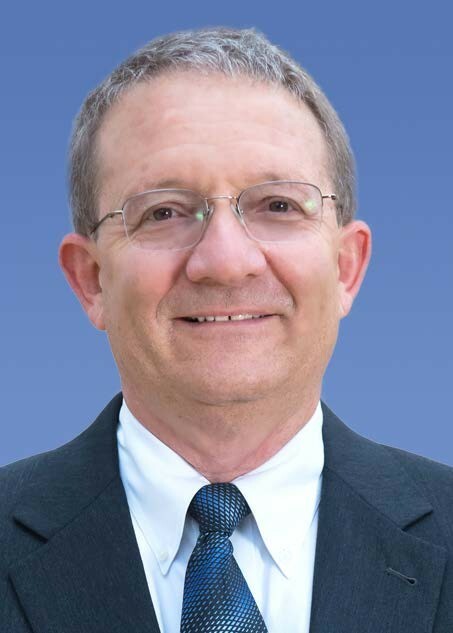 Tim Sieber, most recently executive vice president, was named president. Although SeaPort has reassured city officials that business will continue as usual, the development follows some downward trends for the Portland-based airline. Once operating almost two dozens routes in 11 states and Mexico, SeaPort announced that it would dramatically cut its service area in January, focusing most of its attention toward airports in Oregon and Arkansas. SeaPort was sued in U.S. District Court by Caravan Air LLC last week, with the Oxford, Conn.-based company claiming SeaPort owed it an estimated $500,000 after failing to pay rent on a leased airplane. Sieber did not return a request for comment. While SeaPort has managed to maintain flight service in Pendleton, the airline attracted only 4,015 boardings in 2014, SeaPort’s lowest total since the first full year it started serving Pendleton in 2009. Commercial flights from the Pendleton airport are made possible through a $1.8 million subsidy from the U.S. Department of Transportation’s Essential Air Service program. If SeaPort’s boarding numbers continue to decline, the airport is in danger of having its subsidy stripped. SeaPort’s contract ends Dec. 31, and Steve Chrisman, Pendleton’s airport manager and economic development director, said potential bids must include concrete proposals to boost boardings. Even though SeaPort has run “a clean operation” in the past, Chrisman said the company’s bankruptcy could be a factor if they submit another bid for the Essential Air Service contract. “We want to be objective, but you can’t say that its ideal,” he said. Although he expects service to continue, Chrisman said the city has the option of putting out an emergency request for bids if SeaPort drops its flights from Pendleton. A pilot was airlifted to the hospital Monday afternoon after crashing his plane in the Knutsford area of Kamloops. The man was flying a “slow speed, ultralight” airplane above Kamloops when he crash-landed near Jackson Road, according to Cpl. Cheryl Bush of the Kamloops RCMP. The crash is suspected to have been caused by the rigging of skis on the bottom of the plane. An off-duty firefighter found the pilot crawling to find help in a field after the crash. The pilot was conscious when he was found, but was airlifted to the hospital. “He was treated at the hospital for injuries but nothing life threatening,” said Cpl. Bush. The extent of those injuries are unknown. KAMLOOPS — A Kamloops-area pilot survived a crash of his ultralight aircraft near Knutsford this week. Bill Yearwood of the Transportation Safety Board says it happened on Monday. Yearwood says the pilot had noticed a problem with his yaw control, meaning he was flying slightly sideways, and wanted to correct it. "He landed on a lake to adjust the skis because he thought that might be part of the problem, and it still wasn't right. He was attempting another landing. When he got to about 20 feet, he lost control of the aircraft and crashed hard," said Yearwood. Yearwood notes the pilot was airlifted to hospital suffering from serious spinal injuries, but is expected to survive and adds the man had plenty of experience in this particular aircraft. He notes the TSB has recorded the pilot's account of the crash, and won't require any further investigation. One man was sent to the hospital after a crash landing on Monday, February 1st. Bill Yearwood from the Transportation Safety Board says the pilot was operating out of Knutsford. Yearwood explains that the pilot was flying and landing in small frozen lakes in the area. He says the crash may have been related to unresponsive skis on the aircraft. Yearwood says the pilot experienced injuries to his back. After the crash, the pilot was able to call emergency crews who were able to find him due to his spot tracking device. 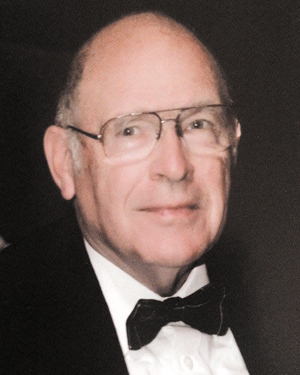 Lt. Col. James F.Garber III, USAF Ret. A private pilot and a pilot-rated passenger were on a personal cross-county flight in a Beechcraft M35, and a private pilot was on a local personal flight in a Bellanca 8KCAB when the airplanes collided in mid-air over an ocean harbor. Before the collision, the Beechcraft, a low-wing airplane, was descending from 3,500 ft, and flying in an east-northeast direction. The Bellanca, a high-wing airplane, was flying toward the sun in a west-northwest direction with intermittent radar returns between 3,000 and 3,500 ft.
Radar data showed the tracks of both airplanes converge with the airplanes approaching each other nearly head-on. The last radar return from the Beechcraft, just before the collision, was at 3,300 ft. Following the collision, both airplanes descended, impacted the ocean, and sank. Postaccident examination of the recovered wreckage of both airplanes revealed no mechanical anomalies that would have precluded normal operation of either airplane. Postaccident examination did not identify any paint transfer marks on the airframe of either airplanes; however, not all the parts of the airplanes were recovered. Ethanol was found in the tissues of each pilot, however, it is most likely that the ethanol was the result of post mortem production. Diphenhydramine, which can cause drowsiness and slow psychomotor reaction time, was detected in the Bellanca pilot's tissue; however, the lack of a blood sample precluded determination of the level of the drug present, and it could not be determined whether the Bellanca pilot was impaired by the effects of diphenhydramine. All three pilots had a limitation on their Federal Aviation Administration medical certificates for eyeglasses; but two, the Beech pilot-rated passenger and the Bellanca pilot, only required them for near vision, which was not a factor in this accident. The Bellanca pilot had had cataract surgery on both eyes more than a year before the accident; this would be expected to significantly improve her vision and, therefore, likely did not contribute to the accident. Overall, it is unlikely that any problem with distant vision in any of the three pilots contributed to the accident. It could not be determined why the Beechcraft pilot did not see the Bellanca. The Bellanca pilot was flying toward the sun, and sun glare could have contributed to her inability to see the approaching Beechcraft. The failure of the pilots of both airplanes to see and avoid each other as they converged nearly head-on, which resulted in a midair collision. Contributing to the accident was the effect of sun glare on the other pilot. 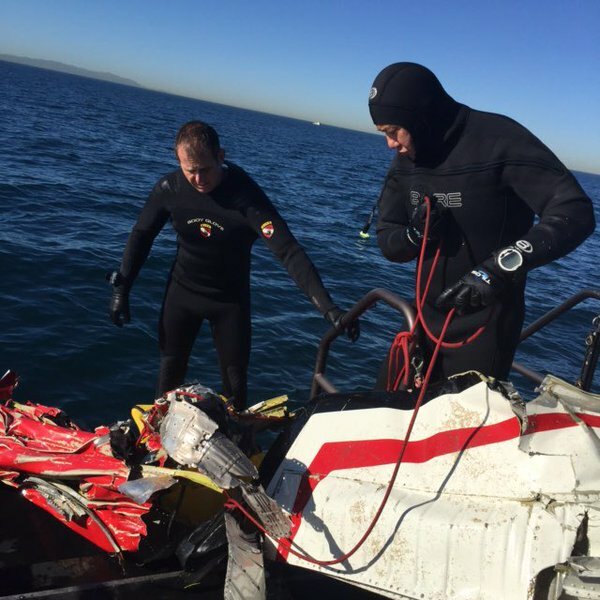 On February 5, 2016, about 1500 Pacific standard time, a Beechcraft M35 airplane, N9872R, and a Bellanca 8KCAB airplane, N5057G, collided over the Los Angeles Harbor about 2 miles south of Angels Gate Lighthouse, San Pedro, California. The Beechcraft was owned and operated by a private pilot. The private pilot and pilot-rated passenger onboard the Beechcraft, and the private pilot onboard the Bellanca were fatally injured. Both airplanes were substantially damaged. The Beechcraft and the Bellanca were registered to and operated by their respective pilots. Both personal flights were operated in accordance with Title 14 Code of Federal Regulations Part 91. Visual meteorological conditions prevailed at the time of the accident, and no flight plans had been filed for either flight. The Beechcraft Departed Camarillo Airport (CMA), Camarillo, California, at an unknown time, and was destined for Zamperini Field Airport (TOA), Torrance, California. The Bellanca departed TOA about 1430 for a local area flight. According to the Federal Aviation Administration (FAA), the Beechcraft received flight following from air traffic control until 7 miles northwest of Santa Monica Airport (SMO), Santa Monica, California, at which point radar services were terminated in preparation for the airplane to pass through the Special Flight Rules (SFRA), commonly referred to as the visual fight rules (VFR) corridor, over Los Angeles International Airport (LAX), Los Angeles, California. Pilots traveling south through the VFR corridor are expected to maintain 3,500 ft. and use a special frequency to exchange position information with other pilots passing through the corridor. A review of the radar data showed that the Beechcraft traveled on a southeast heading from CMA along the coastline and through the SFRA over LAX. Once through the SFRA, the Beechcraft continued southbound until it passed over Rancho Palos Verde, at which point, it made a turn to the east over the ocean near San Pedro at an altitude of about 3,500 ft. The low-wing Beechcraft was on an east-northeast heading and in a descent at the time of the collision. The last radar return received before the collision showed the Beechcraft at 3,300 ft. Figure 1. 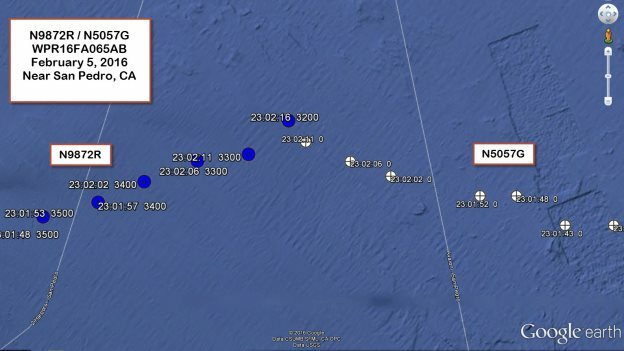 Radar tracks of Beechcraft (blue dots, transponder operating) and Bellanca (white dots, transponder not operating) approaching the collision. After the collision, primary radar returns showed the Beechcraft continued in a northeast direction for about 27 seconds before it impacted the water, and the Bellanca made a descending left turn toward the southwest and impacted the water at a local time of 1501. A pilot conducting flight training in the area, overheard on frequency 121.95, a female pilot transmit '57G we're in trouble here.' The pilot attempted to ascertain the female pilots' location, but the response received by the accident pilot was 'help.' The pilot stated that he had been flying in the area for about an hour, and traffic in the area was light; he did not recall hearing any radio calls from either the Bellanca or the Beechcraft prior to the radio calls requesting help. A witness was on his boat and standing just inside the cabin when he heard a loud buzz over his boat. He turned around and saw a red and white airplane crash into the water about 100 ft directly north of his boat. The airplane struck the ocean at a high rate of speed and at a 90° angle. After notifying the United States Coast Guard, he traveled to the site and reported that there was no sign of an airplane. Another witness, was standing at the stern of his boat looking back toward the mainland. He saw an airplane in a nose dive and watched it crash into the ocean. The witness turned slightly to his right and caught view of a second airplane crashing into the ocean. The pilot, age 61, held a private pilot certificate with airplane single-engine land and instrument airplane ratings. His third-class medical certificate was issued on April 02, 2015, with limitation that the pilot must wear corrective lenses. The pilot's logbook was not recovered for examination. A review of the pilot's most recent medical application indicated that he had a total of 1,186 flight hours with 19.4 hours in the past 6 months. The pilot-rated passenger, age 80, held a commercial pilot certificate with ratings for airplane single- and multi-engine land and instrument airplane. He also held a flight instructor certificate with ratings for airplane single- and multi-engine land and instrument airplane; his flight instructor rating expired March 31, 2017. His third-class medical certificate was issued on November 17, 2015, with the limitation that the pilot must have available glasses for near vision. The pilot's logbook was not recovered for examination. A review of the pilot's most recent medical application indicated that he had a total of 2,394 flight hours with 16.7 hours in the past 6 months. The pilot, age 72, held a private pilot certificate with an airplane single-engine land rating. Her third-class medical certificate was issued on May 18, 2015, with the limitation that the pilot must have available glasses for near vision. The pilot had had cataract surgery on both eyes more than a year prior to the accident. The pilot's logbook was not recovered for examination. A review of the pilot's most recent medical application indicated that she had a total of 1,034 flight hours with 6 hours in the past 6 months. The Beechcraft was a low-wing airplane that was painted red and white. The airplane had a red undercarriage, and a white nose/cowling section along with the top portion of the airplane. The Bellanca was a high-wing airplane that was painted red, white, and blue. The airplane had a white undercarriage, with blue and white striping on the underside of both wings; with the top portion from the engine to the tail painted red. The underside of the wings was red, and the top was white and blue. The tail section was a red/white combination. The Bellanca, at the time of the accident was flying toward the sun. According to the United States Naval Observatory Astronomical Applications Department, sunset was at 1728. 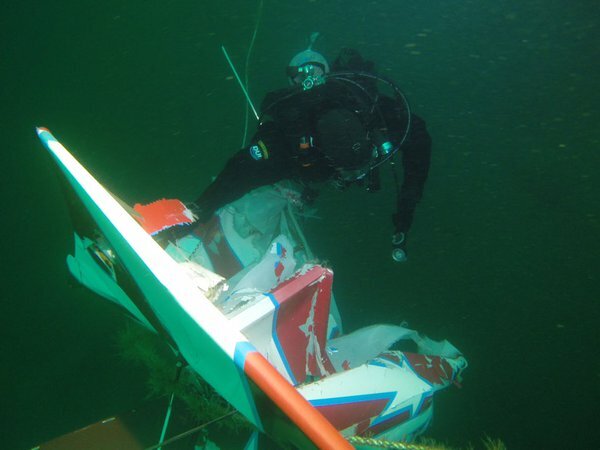 After the mid-air collision, both airplanes impacted the water and sank. 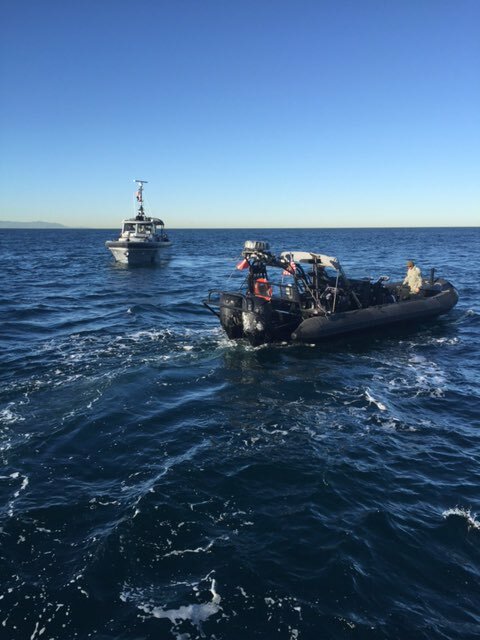 Multiple search and rescue agencies responded to the area, and the wreckage of the Beechcraft was located at a depth of 88-foot sea water (fsw) and recovered by the Los Angeles Sheriff's Department Special Enforcement Bureau's Dive Team on February 7, 2016. They continued the search for the Bellanca, and recovered the wreckage on February 9, 2016; the Bellanca was at a depth of 110 fsw. According to the recovery divers all 3 pilots remained in their respective airplanes. The County of Los Angeles, Department of Medical Examiner-Coroner conducted postmortem examinations of all three pilots. The cause of death for all three pilots was reported as multiple blunt force trauma, and the manner of death was accident. 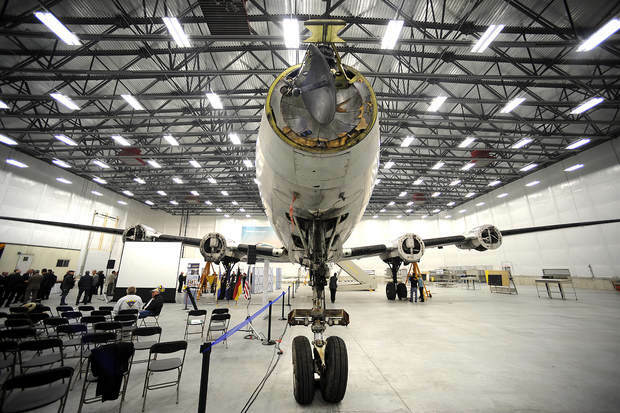 The FAA's Bioaeronautical Sciences Research Laboratory, Oklahoma City, Oklahoma, performed forensic toxicology on specimens from all three pilots. Carbon monoxide and cyanide testing was not performed. The results were as follows. Ethanol was detected in muscle tissue at 61 (mg/dL, mg/hg), and in lung tissue at 30 (mg/dL, mg/hg); putrefaction of the specimens was identified. Tested drugs yielded negative results. Ethanol was detected in muscle tissue at 75 (mg/dL, mg/hg), no ethanol was detected in liver tissue, and putrefaction of the specimens was identified. Atorvastatin a non-impairing cholesterol lower drug, was detected in liver and kidney tissues. Carbon monoxide and cyanide tester were not performed. Ethanol was detected in muscle tissue at 30 (mg/dL, mg/hg) and in liver tissue at 14 (mg/dL, mg/hg); putrefaction of the specimens was identified. Diphenhydramine, a sedating antihistamine, was detected in liver and kidney tissues. An examination of both airplanes was performed on March 15, 2016, at Plain Parts in Pleasant Grove, California. There was no evidence found of any preimpact anomalies of either airplane that would have precluded normal operation. No paint transfer witness marks were identified on either airplane. During the airplane examination, the outer 5-6 feet of the left aileron and wing, and the left stabilizer were missing from the Beechcraft and not recovered. The main landing gear remained attached to the wings. The left main landing gear had a deep cut through the tire. The nose landing gear was missing and not recovered. The pushrods, intake manifold, and exhaust tubes separated from the left side of the engine and were not recovered. The propeller for the Beechcraft remained attached to the engine. Both propeller blades had leading edge gouges and significant bending; one blade was bent forward. Neither propeller blade could be rotated in the hub. A hand-held portable GPS device recovered from the Beechcraft was shipped to the NTSB's Vehicle Recorder Division in Washington, DC, for further examination. An external examination of the unit revealed water and impact damage. The GPS unit was disassembled, and the data chip was removed and read out. One track log was extracted dated December 31, 1989, which was not consistent with the accident flight. During the airplane examination approximately 9 feet of the outboard section of the left wing was missing and not recovered. There was also significant indentation of the leading edge of the left horizontal stabilizer. The propeller for the Bellanca remained attached to the engine. Both blades exhibited aft bending, with no scratches or impact marks identified. 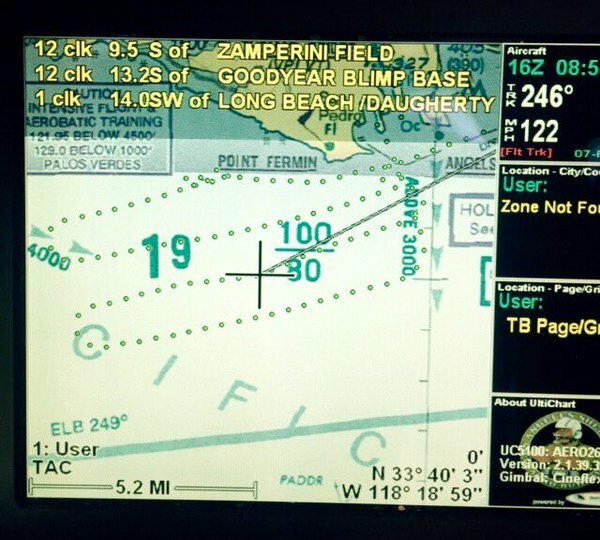 Figure 2 – FAA Intensive Flight Training area identified and radio frequencies to monitor. "All pilots must be alert to the potential for midair collision and near midair collisions… this concept requires that vigilance shall be maintained at all times, by each person operating an aircraft regardless of whether the operation is conducted under instrument flight rules (IFR) or visual flight rules (VFR)… most midair collision accident and reported near midair collision incidents occur in good VFR weather conditions and during the hours of daylight. Most of these accident/incidents occur within 5 miles of an airport and/or near navigation aids." Engine Manufacturer: Continental Motors Inc.
On February 5, 2016, about 1500 Pacific standard time, a single-engine Beech M35, N9872R, and a single engine Bellanca 8KCAB, N5057G, were substantially damaged when they collided in mid-air over the Los Angeles Harbor about 2 miles south of Angels Gate Lighthouse, San Pedro, California. The Beech was owned and operated by the private pilot. Both the private pilot and a certified flight instructor (CFI) onboard were fatally injured. The Bellanca was owned and operated by the private pilot, the sole occupant, and was fatally injured. Visual meteorological conditions prevailed at the time of the accident. Both flights were operated in accordance with 14 Code of Federal Regulations Part 91, and no flight plans had been filed. The Beech departed Camarillo Airport (CMA), Camarillo, California, at an unknown time, and was destined for Zamperini Field Airport (TOA), Torrance, California. The Bellanca departed TOA about 1430 for a local area flight. Both airplanes impacted the water and sank. 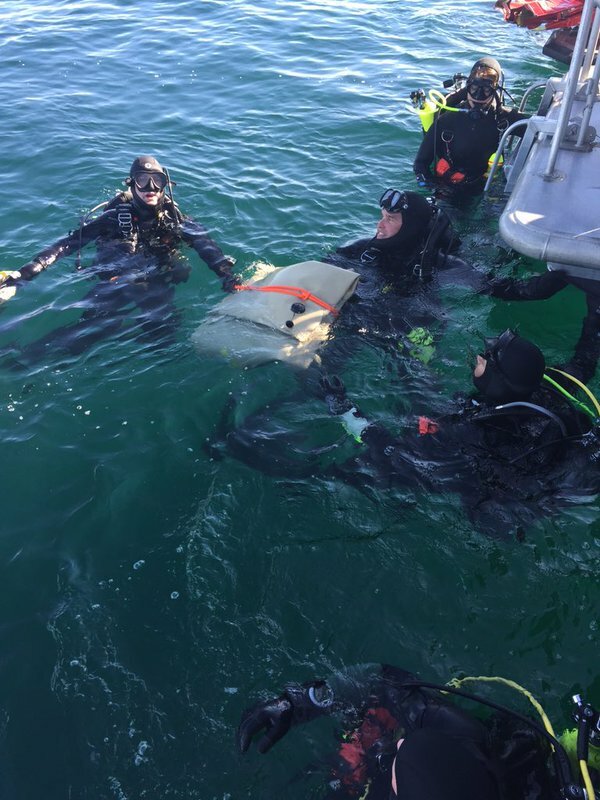 Multiple search and rescue agencies responded to area, and the wreckage of the Beech was located and recovered by the Los Angeles Sheriff's Department Special Enforcement Bureau's Dive Team on February 7, 2016. They continued the search for the Bellanca, and recovered the wreckage on February 9, 2016. 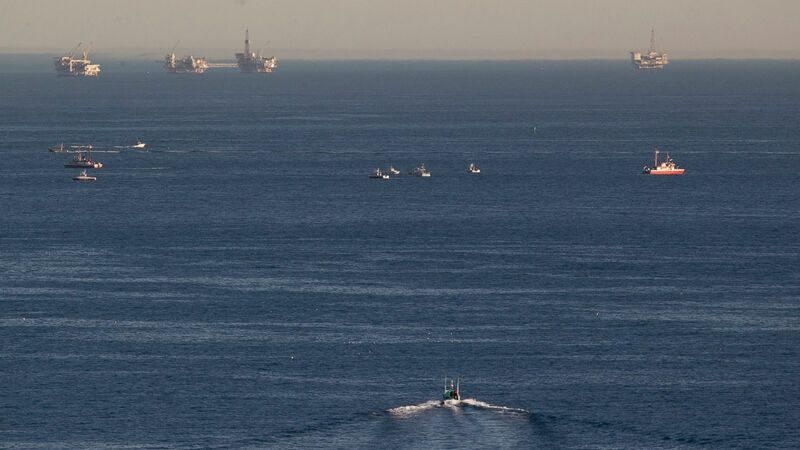 Divers on Wednesday recovered the body of a pilot in the wreckage of a small plane that collided in midair with another aircraft and plunged into the ocean outside the Port of Los Angeles. The plane and the woman's body were brought to the surface around 10 a.m., said a statement from the Los Angeles County Sheriff's Department. 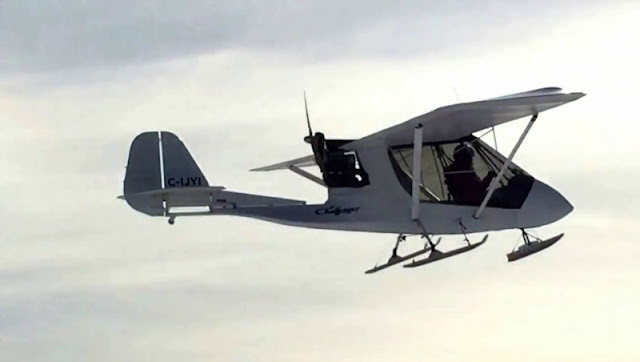 The Citabria, a single-engine aerobatic plane, was discovered Monday evening about a mile from the original crash site, according to the statement. A second plane and the bodies of two men aboard were recovered Sunday. 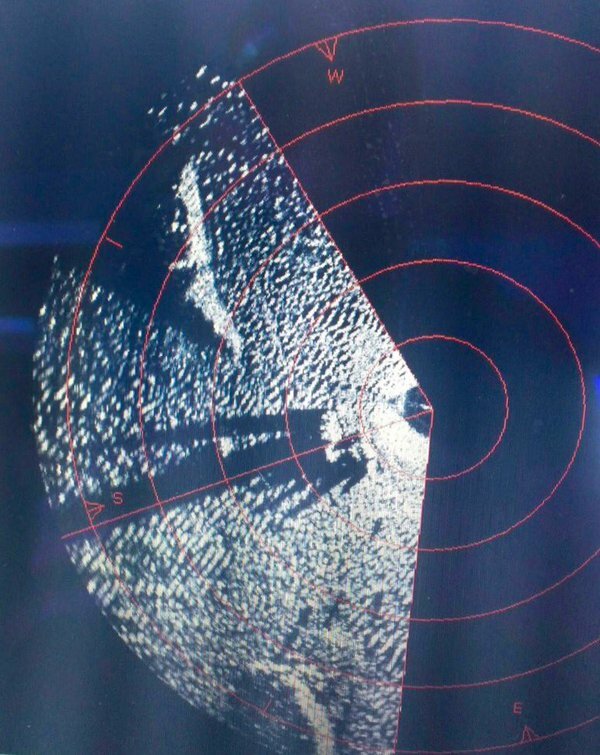 A massive search was launched Friday after a plane piloted by a 72-year-old woman was seen on radar colliding with a craft carrying men ages 61 and 81 off San Pedro, just outside the harbor. 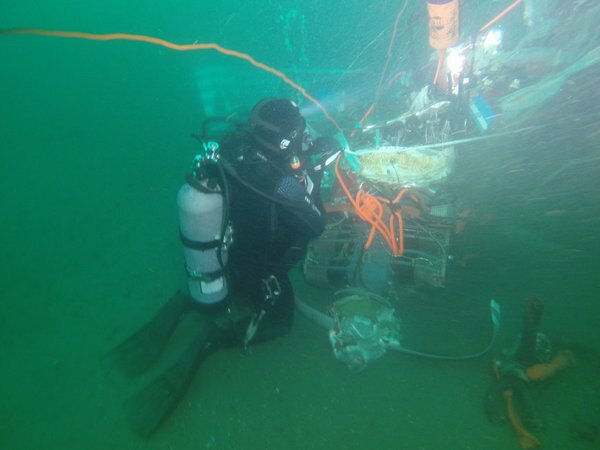 Authorities used sonar devices and remote-operated underwater vehicles. Authorities have not released any identities, but the woman's husband identified her as Mary Falstrom of Torrance. 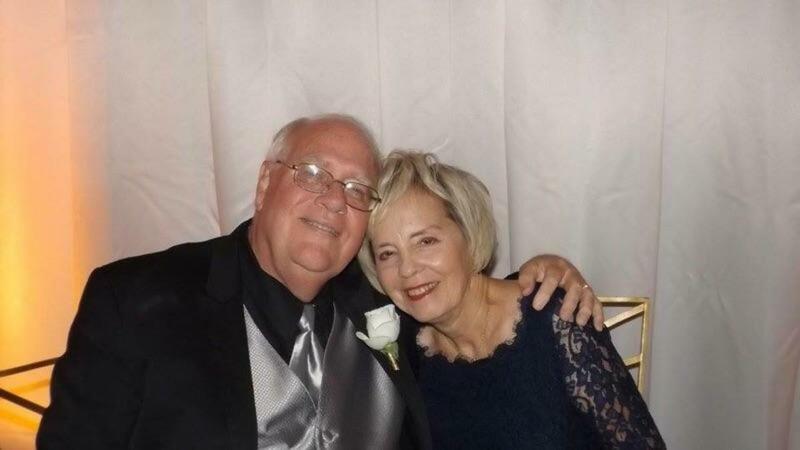 Richard Falstrom said his wife, a longtime pilot, told him Friday that she was going on a plane ride to enjoy the sunny weather. Hours later came the news of the collision. Richard Falstrom believes his wife died doing something that gave her great joy. "She loved flying. It was a passion," he told The Associated Press. His wife was a member of The Ninety-Nines, Inc., an international organization of women pilots, and he said she volunteered at the Western Museum of Flight at Torrance Airport, from which she and the other plane took off Friday. The plane carrying the men was a Beech 35 Bonanza, said Allen Kenitzer, a spokesman for the Federal Aviation Administration. The crash site was near the Angels Gate light, a lighthouse at the San Pedro Breakwater that is on the National Register of Historic Places. The area is popular for flight students. As authorities resumed an air and sonar search Monday for the remaining downed airplane from Friday’s midair collision off the coast of San Pedro, loved ones of two victims paid tribute to their memory. 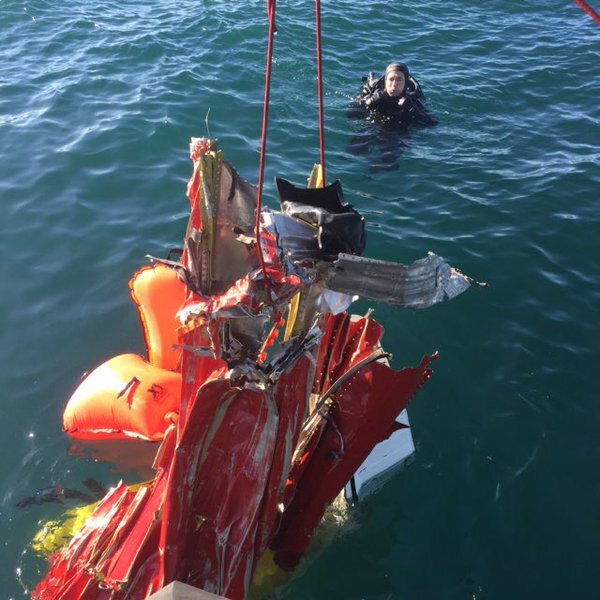 Divers found more debris from the wreckage of a Beech 35 Bonanza that was recovered Sunday with the remains of two men who were on board, but a Citabria flown by 72-year-old Torrance resident Mary Falstrom has yet to be located. 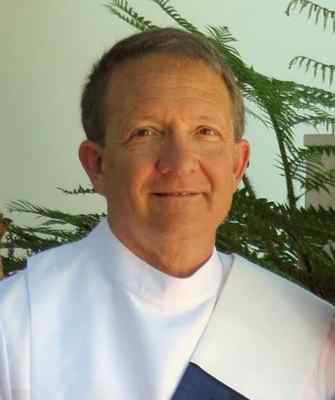 Officials have not released the names of the three victims who died in the crash, but St. Lawrence Martyr Catholic Church identified one of them as Deacon Martin Clement, 61, of Redondo Beach. Clement was a pilot but it was not clear whether he was at the controls of the Bonanza, which also carried an 81-year-old man who has not been identified. Falstrom was described as an easygoing, bubbly, longtime pilot and Clement as a caring deacon called to his vocation by selflessness. Falstrom was identified by her husband of 24 years, Richard Falstrom. He believes recovering his wife’s remains will bring him closure. Mary Falstrom, a longtime pilot who volunteered at the Western Museum of Flight in Torrance, flew several times a week out of Torrance Municipal Airport. On Friday, she told her husband it was a perfect day to fly. The retired executive secretary at Raytheon juggled an active schedule of Zumba and aerobics classes, flying and activities in two flying groups — the Torrance-based Del Amo Flyers and the Long Beach/South Bay Chapter of the Ninety-Nines, an international women pilots organization. 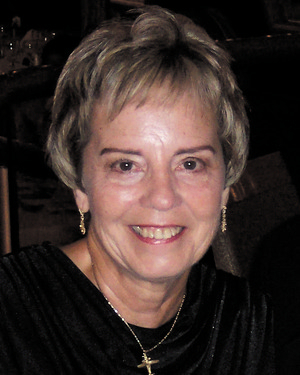 Friend and Ninety-Nines chapter secretary Anne O’Brien described Mary as a “shy sweetie-pie” who spoke often of her love for Richard and her only son from a previous relationship, Chris Kringel. “She was always in the background and never wanted to be in front of the room or anything,” said O’Brien, who saw Mary in her plane at Torrance airport before she took off Friday afternoon. O’Brien and another pilot, Linda Howard, had just returned from a lunch trip to Camarillo. Mary Falstrom helped the Ninety-Nines paint compass roses at Rosie the Riveter Park in Long Beach and Pacific Skies Aviation flight school in Torrance. She flew in eight of the Ninety-Nines’ Palms-to-Pines races and, one year, her engine stopped and she was forced to land in a field near a farmhouse on the Oregon border. O’Brien said news of the crash was especially shocking because Mary Falstrom was extra cautious and kept her plane in immaculate condition. Though it was designed to be flown upside down, she would only attempt aerobatics with an instructor. Friends in the aviation community suspect the planes likely did not see each other because Mary Falstrom’s was a high-wing plane and the other aircraft was a low-wing plane, and they could have been out of each other’s view. A woman’s voice was reportedly overheard on radio frequencies at the time of the crash saying, “Uh oh” and “Help me! Help me!” Richard Falstrom said. He said his wife was “infatuated” with flying. She grew up in Jacksonville, Florida, watching planes take off at the international airport as a teenager before working as a flight attendant and taking up flying lessons. She met her husband through Parents Without Partners. Richard Falstrom said the family — including his two children, who are Mary’s stepchildren — is having a difficult time coping with the sudden loss. St. Lawrence Martyr shared news of Clement’s death through an announcement on Facebook on Saturday. Clement, a pilot and financial planner, was a parishioner before becoming an ordained deacon in 2013. His wife, Martha, is head of bereavement at the church. According to a church bulletin announcing Martin’s ordination, he and Martha married at St. Lawrence in 1990 after dating for two years. He was active in All Life Charities and heavily involved with Get on the Bus, a program that unites children with their incarcerated mothers and fathers. Clement also was very involved in homeless outreach in the South Bay, and brought communion to sick patients at Little Company of Mary Medical Center in Torrance. Dale Sheckler, another deacon at the parish, said Clement was a selfless deacon devoted to not only St. Lawrence, but the entire community. Clement loved flying to Catalina, often taking deacons and priests, and he also was an avid skier. He had just returned from a trip to Mammoth. Sheckler’s wife, Kim Sheckler, said Clement was “well-loved” at St. Lawrence. 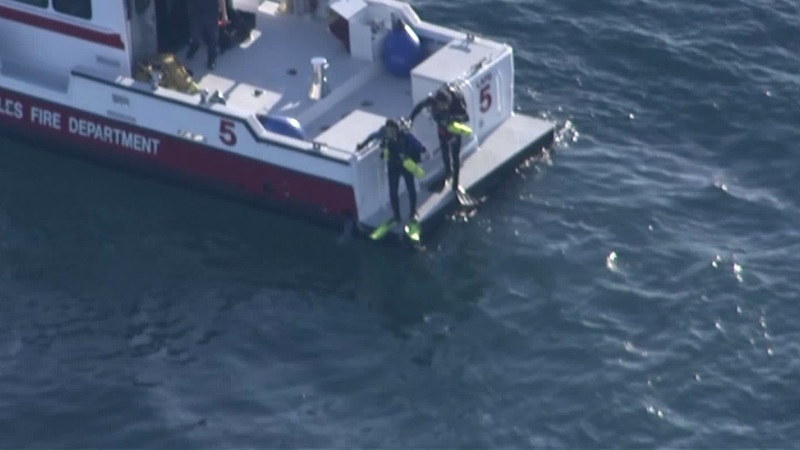 Two bodies and the wreckage of a small plane were found Sunday by divers searching in the water off Southern California for evidence following a midair collision believed to have killed three people, authorities said. 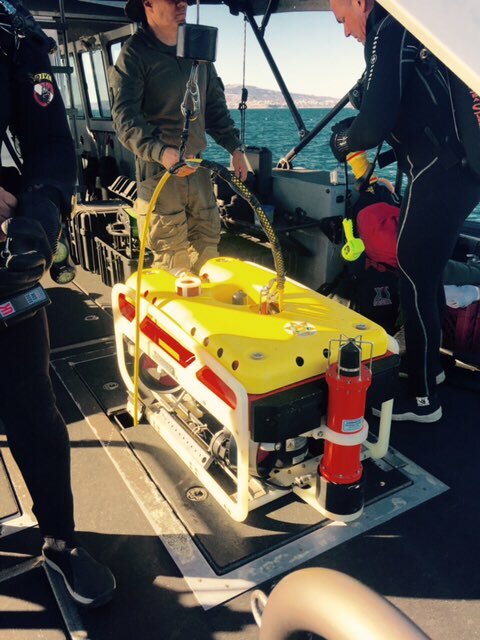 Divers made the discovery about 100 feet below the surface, in an area about 2 miles off Los Angeles Harbor, Los Angeles County Sheriff's Capt. Jack Ewell said in a statement. Investigators from the coroner's office will identify the victims and divers will resume the search Monday morning, he said. 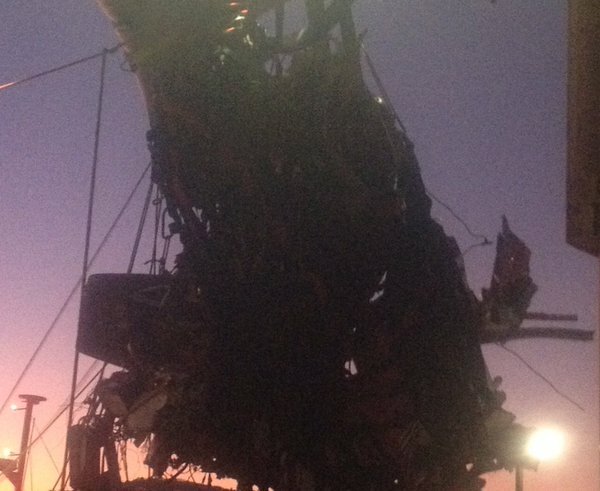 Some debris from a plane carrying two men, including a pilot's logbook, was quickly found. But there was no sign of Falstrom or her plane. Richard Falstrom believes his wife died doing something that gave her great joy. "She loved flying. It was a passion," he told The Associated Press. The plane carrying the men was a Beech 35 Bonanza and the second was a Citabria, said Allen Kenitzer, a spokesman for the Federal Aviation Administration. Falstrom said his wife flew a Bellanca 8KCAB Super Decathalon, an aerobatic plane by the same maker of the Citabria. Authorities said both pilots were experienced. After a midair crash between two small planes Friday in San Pedro launched a water search for three, one pilot's husband was speaking out Saturday. Mary Falstrom of Torrance, 72, was identified by her husband, Rich Falstrom, as one of the pilots involved in the crash. "She was very proud of the fact that she was a female pilot because there aren't as many of those around," Rich Falstrom said. Rich said he was proud of his wife too, and recalled what she said before taking off Friday. "She more or less said, 'It's too pretty a day -- I have to go flying,'" Rich said. Rich said his wife was a flight attendant when she was young and and an experienced pilot of more than 25 years. Rich said she owned a two-seater aerobatic plane that she would fly once or twice a week, usually taking off from and landing at Torrance Airport. "I'm sure she was just doing her normal routine and apparently didn't see the other plane, and they didn't see her," Rich said. 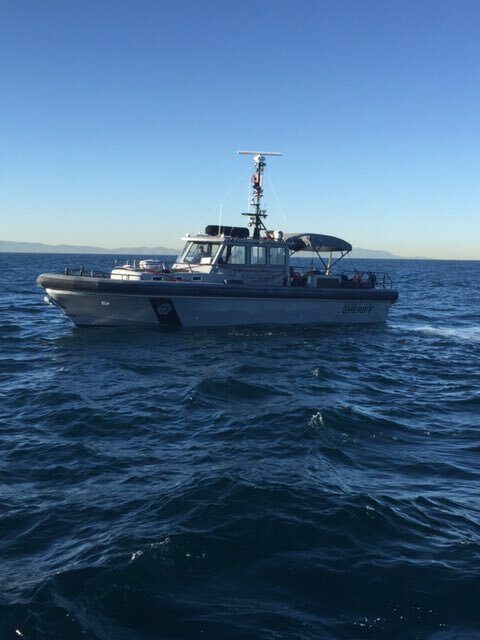 The Coast Guard called off a large-scale search Saturday morning for two men and Falstrom, but Los Angeles County Sheriff's officials said the search would resume Sunday morning. "I'm sad," Jim Gates, a fellow pilot in the flying club to which Falstrom belonged, said. Gates said he watched Falstrom take off from Torrance Airport before the crash. He said her plane was designed for aerobatics. A retired United Airlines pilot, Arvid Von Norden-Flycht, said he was looking at the radar trying to track the planes in the moments before the crash. "It looked like at the last second somebody was turning," Norden-Flycht said. The two small planes departed from the Torrance airport before the collision occurred. 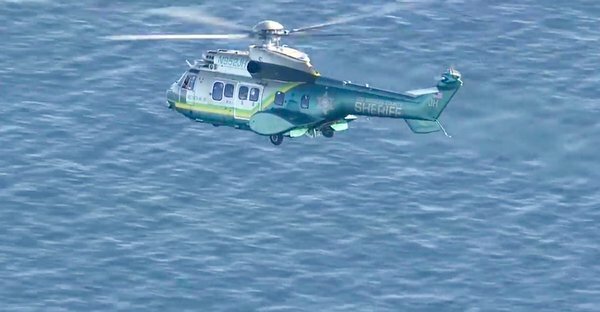 A crew of a fishing boat reported that a plane had hit the waters near the Point Fermin Lighthouse Friday, officials said. Debris and a log book was found Friday after a plane was reported down at 3:14 p.m., said Capt. Jennifer Williams of the U.S. Coast Guard. "The rescue operation has transitioned to a recovery operation," according to a statement Saturday from the Coast Guard. The LA County Sheriff's Department plans to conduct diving and sonar searches to located wreckage, according to the statement. Two men, ages 61 and 81, were aboard a plane that was seen on radar colliding with another aircraft assumed to be piloted by Falstrom on Friday. Both pilots were experienced, Williams said. The identities of the two men were not released, but Williams said they were South Bay residents. Crews were to resume searching Sunday at 6 a.m., according to the Los Angeles County Sheriff's Department. "I'm sad, but I'm also glad she died doing what she likes," Gates said. Authorities on Saturday called off the search for survivors of a midair collision that sent at least one plane plunging into the ocean near the Port of Los Angeles and instead turned to hunting bodies and wreckage. The active search for three missing people was suspended at 9:15 a.m., according to a U.S. Coast Guard statement. Two men, ages 61 and 81, were aboard a plane that was seen on radar colliding with another aircraft flown by a 72-year-old woman around 3:30 p.m. Friday, officials said. The first plane was a Beech 35 Bonanza and the second was a Citabria, said Allen Kenitzer, a spokesman for the Federal Aviation Administration. After reports of the crash, divers converged on an area about two miles outside a harbor entrance where a small debris field was found. The water there was 80 to 90 feet deep. 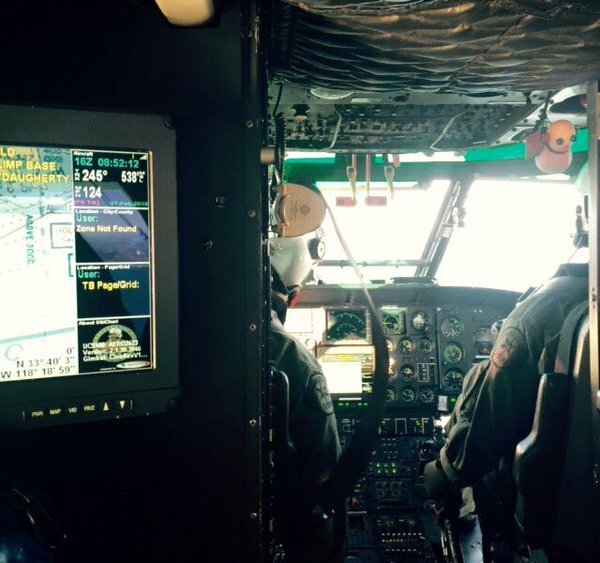 On Friday, divers found wreckage and a pilot's logbook from the Beechcraft, Coast Guard Capt. Jennifer Williams said. No one has heard from the other plane, authorities said. Both planes had taken off from the nearby Torrance Airport, and both pilots were experienced, Williams said. All three people live in the nearby South Bay area. No names have been released. The Los Angeles County Sheriff's Department was using sonar and remotely operated underwater vehicles to search the area where debris and oil were spotted Friday. However, nothing more had been found by Saturday afternoon, said Capt. Jack Ewell of the sheriff's Special Operations Bureau. The planes could have gone down in different areas or the ocean currents could have moved debris miles away, he said. As for the chance of survivors, "the odds are definitely not good," Ewell said. "You do have to consider that a plane crashed and it's very hard to survive that in any conditions, let alone two miles out in deep water," he said. 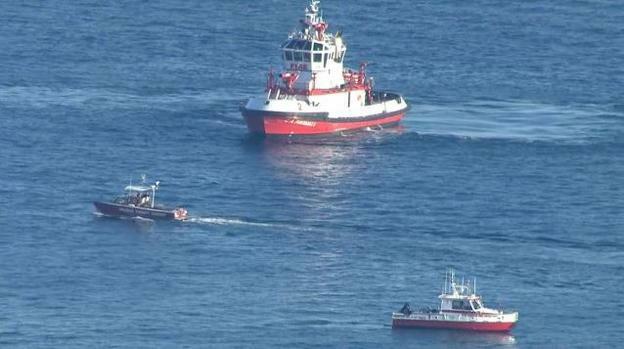 The nearest harbor entrance was closed to traffic while the search continued. Richard Garnett, chief flight instructor with the Long Beach Flying Club, said the pilots practice in an area that is 10 to 20 square miles and at altitudes ranging from 1,000 to 4,000 feet. On a typical day, there will be three or four planes in the air at the same time. "So with the amount of activity, actually, I think we've been fortunate," he said. "We are really diligent. I don't know why, what happened in this situation." Friday's midair collision was not the first in the area. In 2001, four people died when two Cessna airplanes carrying instructors and students collided 1,000 feet above the harbor. In 1986, two small planes flown by students collided. But the aircraft managed to return to their airports, and the four people on board escaped injury. 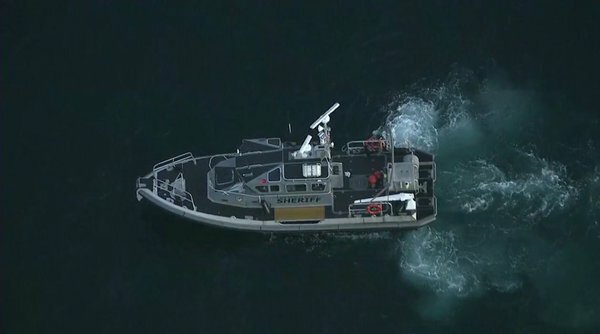 Two small planes with three people believed to be aboard collided over the ocean just outside Los Angeles Harbor and plunged into the water Friday, authorities said, prompting a massive search by dozens of boats and divers. 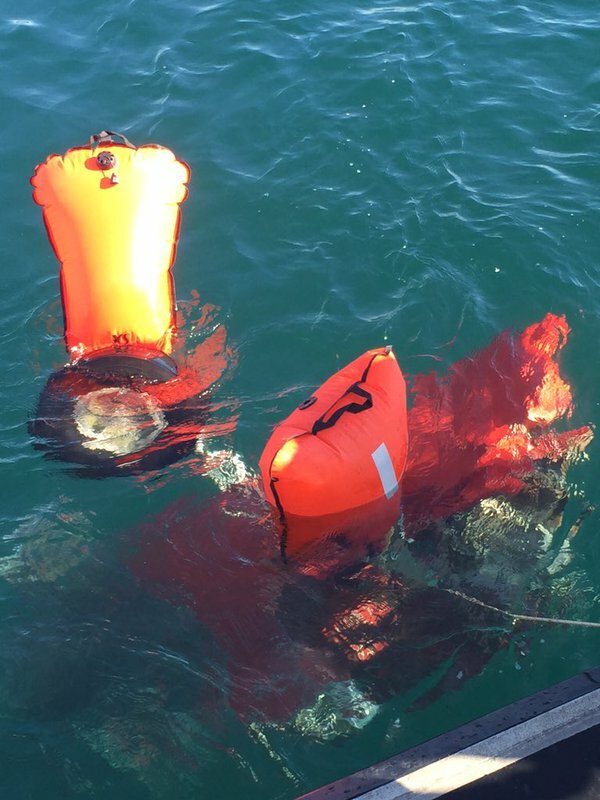 The Coast Guard said the collision occurred at about 3:30 p.m. on a dazzlingly sunny day. Investigators had no immediate word on what might have caused the accident. 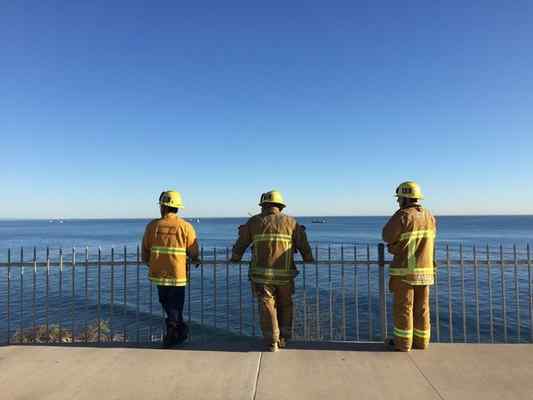 A small debris field was located near the Point Fermin Lighthouse, according to Erik Scott of the Los Angeles Fire Department, which was assisting in a multi-agency search effort. At a nighttime press conference, Coast Guard spokeswoman Capt. Jennifer Williams said preliminary information showed that both planes had flown out of the Torrance Airport and that those on board were South Bay residents and experienced pilots. Two men, 61 and 81, were in one plane and a 72-year-old woman was in the other, Williams said. The planes were a Beechcraft and a Super Decathlon acrobatic craft, she added. Searchers found wreckage, including a pilot’s logbook, from the Beechcraft plane that was carrying the two men. The plane flown by the woman is missing, and air traffic controllers saw two aircraft apparently run into each other on radar, leading authorities to conclude they must have collided. A Coast Guard helicopter equipped with night vision and two vessels planned to search about 200 square miles of ocean for any survivors through the night, with a more extensive search resuming at daybreak Saturday, Lt. Jonathan McCormick said. L.A. County lifeguard Capt. Ken Haskett says divers have found a plane tail number and a partial number from a second plane in the water. 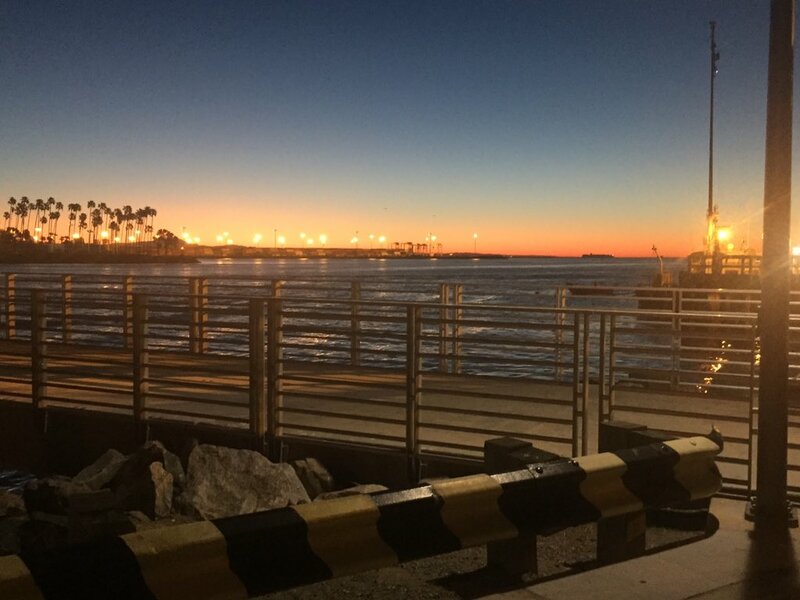 The crash site was a quarter-mile south of the Angels Gate light, a lighthouse at the San Pedro Breakwater that is on the National Register of Historic Places. The area is popular for flight students and there were many planes in the crystal clear skies at the time of the accident. Pilots communicate at two different radio frequencies — one for above 2,000 feet and the other below, said Reed Novisoff, chief pilot at Pacific Air Flight School. Nonetheless, Friday’s midair collision was not the first. In 2001, four people died when two Cessna airplanes carrying instructors and students collided 1,000 feet above the harbor. In 1986, two small planes flown by students collided, but the aircraft managed to return to their airports and the four people on board escaped injury. 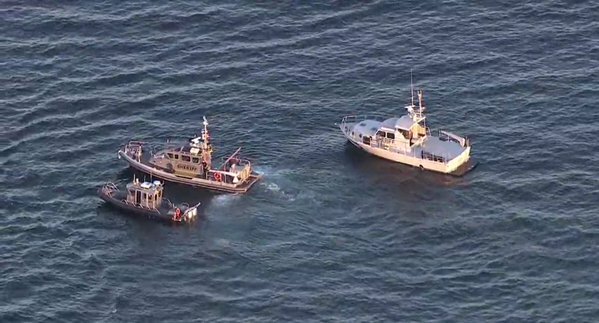 Two aircraft, one of them an aerobatic plane, crashed into the water after an midair collision off San Pedro, prompting a multi-agency search for survivors on Friday afternoon, authorities said. Petty Officer Andrea Anderson with the U.S. Coast Guard confirmed that some kind of incident involving two planes, and both were believed to be down in the water. One of the planes was a Beechcraft 35 and the other was described as an aerobatic stunt plane, according to Spencer Parker with L.A. County Lifeguards. 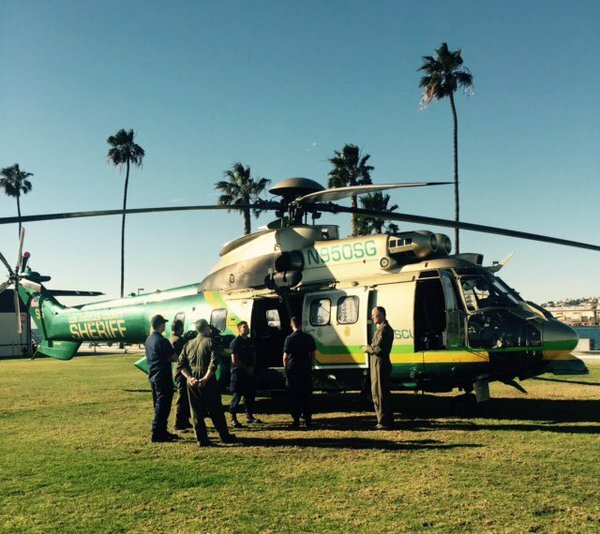 The Los Angeles County Fire Department’s Lifeguard Division later said the Coast Guard and the Federal Aviation Administration confirmed that a midair collision between two aircraft had occurred. A preliminary report at 3:14 p.m. indicated a small plane was in the ocean with a small debris field near San Pedro, Erik Scott of the Los Angeles Fire Department said. Divers were entering the water to search, he said. Multiple agencies, including the Coast Guard, were responding. 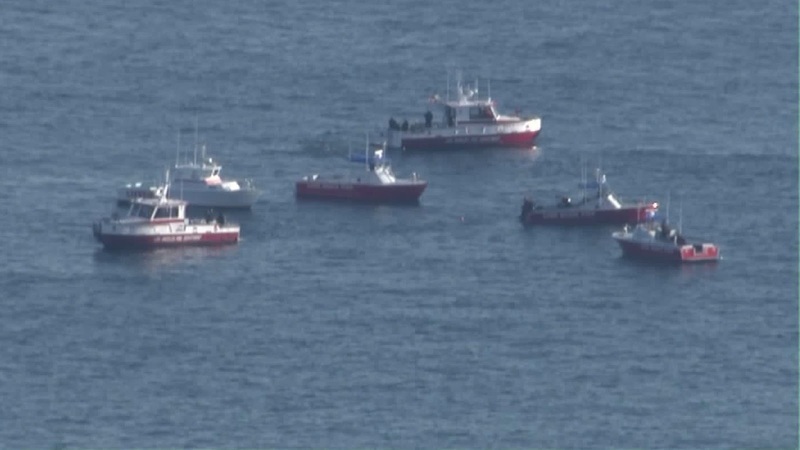 Los Angeles County lifeguards said a report was made by a fishing vessel that a single-propeller plane went into 80 feet of water off Cabrillo Beach in San Pedro. FAA spokesman Allen Kenitzer said the agency had been alerted about an aircraft down, but had no information about the type of plane or the number of people on board. Divers working for several emergency response agencies are searching the waters of San Pedro Harbor for any survivors following a mid-air collision involving two light aircraft Friday afternoon. 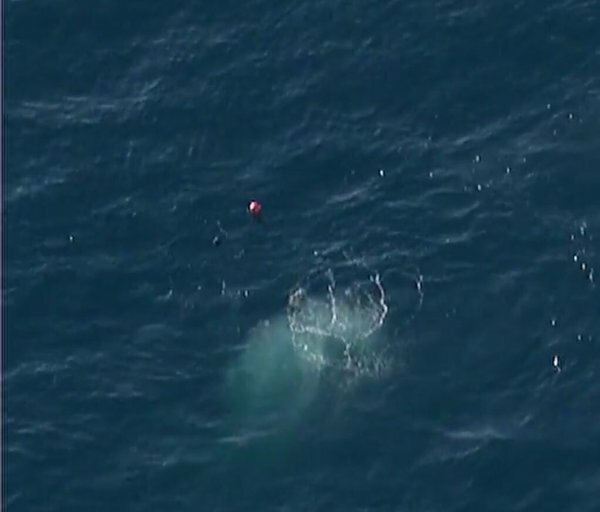 U.S. Coast Guard Lt. Jonathan McCormick said the Federal Aviation Administration has confirmed that a mid-air collision took place near the Point Fermin Lighthouse, and two separate tail identification numbers were recovered. Responders did not know how many passengers were involved in the crash, and the multi-agency search was ongoing as of about 6 p.m. Friday. The report of the crash came in at 3:28 p.m. Several agencies responded to the scene, including Los Angeles County fire, Los Angeles County sheriff’s deputies and the Long Beach Fire and Police departments. 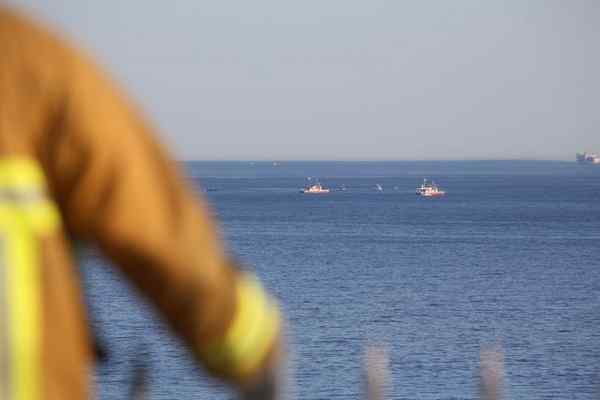 The crew of a fishing boat reported a plane hitting the water, an official with the Los Angeles County Fire Department’s Lifeguards Division said. 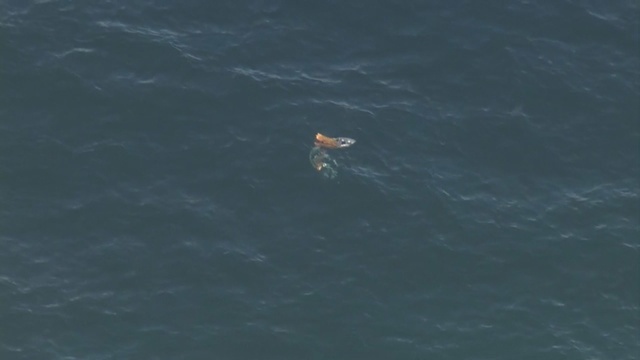 The initial report indicated it was a single-engine plane in about 80 feet of water roughly 2 miles off the coast of Cabrillo Beach. Firefighters deployed a dive team in the area of a debris field, said Capt. Mark Miller of the Long Beach Fire Department. The size or model of the planes was not yet known. Officials did not release the plane identification numbers. Rescuers were searching for survivors. The air space is known as a practice area for pilots, officials said. Phillip Sanfield, a spokesman for the Port of Los Angeles, said the Angels Gate entrance to the port will be closed until further notice. The closure is not affecting port operations, however, because vessels are able to enter or exit the harbor via the Queens Gate entrance, off the Long Beach shoreline. 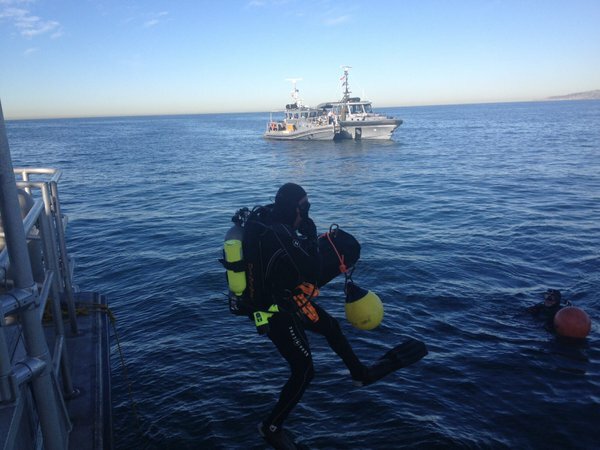 Port of Los Angeles police divers are assisting the search team. What happens when a plane loses cabin pressure?